Similar to Siri and Alexa, Microsoft’s Cortana was designed to provide search, scheduling and other functions by allowing you to interact with the Windows system with your voice. While it’s considered to be a helpful feature by most users, Cortana is also known to collect personal information, such as your preferences, schedule and location, and share it with Microsoft and other service providers. If you’re concerned about your privacy, or if you simply don’t need the voice assistant features delivered by Cortana, you can shut it off by modifying the Windows registry. Note, however, that the following workaround does not guarantee that Cortana will remain switched off after another system update, so keep these instructions close at hand. Press Win+R to open REGEDIT. Type in regedit and click OK. Locate the Windows Search key. If it doesn’t exist, create a new key named Windows Search by right-clicking on the Windows folder and choosing New > Key. 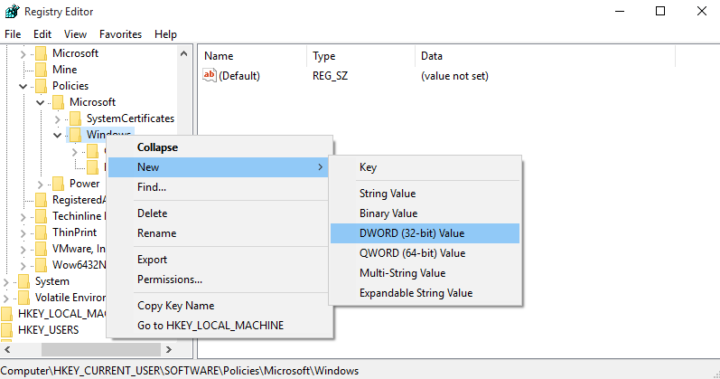 Right-click on the Windows Search folder and choose New > DWORD (32-bit) value. Name this new DWORD AllowCortana, double click on it and set the value to 0.